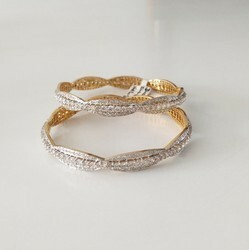 We offer Diamond and Gold Bangles. These are well polished and smoothly finished these gemstones are widely demanded and applauded by our valued clients. All the products offered by us are well tested and analyzed on distinct parameters. We offer them at competitive prices at international standard. They are highly appreciated for their unmatched in designs and perfect in finish. We offer these necklaces in 14k, 16k and 18k gold. 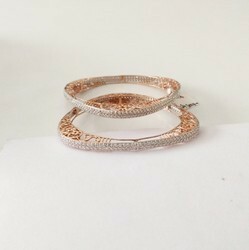 We are the leading manufacturer of Handmade Diamond Bangles in Jaipur. We also deal in customised designed bangles.